Everybody agrees that vitamins and supplements can be important for maintaining good health, but that doesn’t mean that all “delivery systems” are equal. Supplements manufacturers have a lot of different options when it comes to both the specific nutrients a supplement provides, as well as the way they are consumed. And while pills and capsules are two of the more common forms, chewable supplements are a great option. One of the biggest things that chewable supplements have going for them is that they have a tolerable flavor. This is critical for a chewable supplement as it is going to be spending a bit more time in the mouth—and on the tongue—than normal pills or capsules. All vitamins and supplements are 100% safe for people to consume, otherwise, they wouldn’t be so highly recommended. However, there’s a world of difference between something being good for you, and something tasting good. Without proper processing, chewing on normal pills, or biting down on capsules can be a foul tasting experience. This is one of the reasons why, despite the health benefits, cod liver oil was such an unpopular nutritional supplement for generations. It was only once it was sealed in a capsule form, to avoid the foul taste, that more people were willing to enjoy its health benefits. 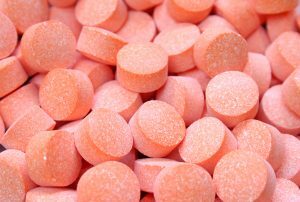 Depending on the type of vitamin or supplement, a pill or a capsule may be difficult to swallow. This is especially true for people that may have more specific needs or impairments, such as children or the elderly. Sometimes swallowing entire pills or capsules can be difficult. Chewable supplements, however, when secured from a reputable supplements manufacturer, can make this much easier to handle. The smaller mouth and throat of children have no issue with being able to chew down supplements to a more manageable size. The same is true for the elderly. Not every person is well suited to conventional pill or capsule consumption, and chewable tablets are one way to ensure that even people with particular needs or predispositions still get the vitamins and nutrients they need. There are a variety of different ways a supplements manufacturer can create the products that benefit general consumers. If you’re interested in something that’s easy for just about anyone to consume, then think about chewable supplements as a way to fill that need, and talk to the people who know how to get this done.